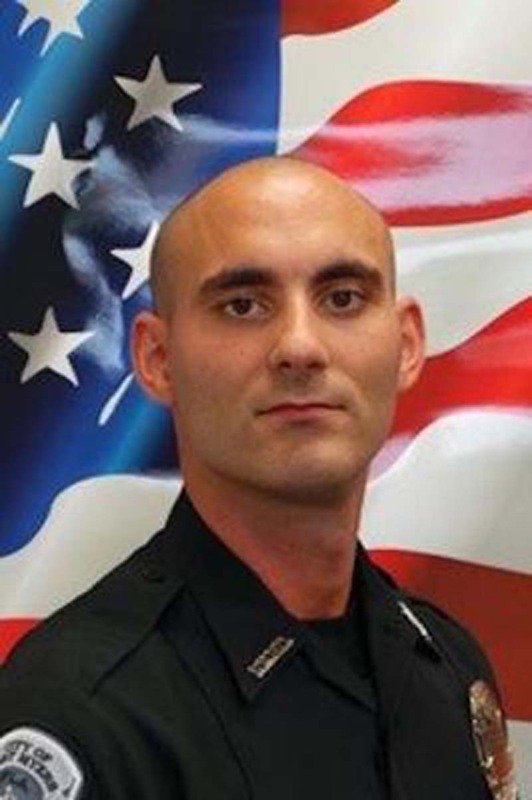 A Florida police officer died Saturday, a week after he was shot while attempting to apprehend a suspect, the Fort Myers Police Department said Sunday. "It is with a heavy heart that we inform our community that Ft. Myers Police Officer Adam Jobbers-Miller has passed away as a result of the injuries sustained on Saturday, July 21st. Please continue to pray for Officer Jobbers-Miller's family, friends and our entire FMPD Family," the department wrote on Twitter. Jobbers-Miller was in critical condition since last Saturday after he was shot in the head while pursuing Wisner Desmaret, a suspect in a reported theft, the Fort Myers News-Press reported. Jobbers-Mille, 29,r had been serving with the Fort Myers Police Department since September 2015 and previously worked as a volunteer firefighter for Fire Co. 2 in Wayne, N.J.
[post_ads]"When Adam joined in 2009, it was an honor being his chief and to watch him grow into such a devoted, dedicated firefighter," Fire Co. 2 Chief John Gabriel said during a vigil at the firehouse. A GoFundMe campaign to assist Jobbers-Miller's family had gathered $65,182 as of Sunday afternoon and the police department shared a schedule of fundraisers launched by several local businesses. "It's a very low time right now for our city and for the Miller family," Fort Myers Mayor Randy Henderson said. "We need to stay intensely focused on the family and their support. This will serve as a reminder to us all -- first responders, law enforcement officers face these challenges every day. We love them and respect them and at this time we embrace all of them." Florida Gov. Rick Scott also offered his condolences to Jobbers-Miller's family. "Our hearts are heavy to learn of the passing of Officer Jobbers-Miller," he said. "Police officers like Adam Jobbers-Miller put their lives on the line every day to keep our communities safe. My wife, Ann, and I are praying for his family and everyone in the entire Lee County law enforcement community this evening." Desmaret was also injured in the encounter and is being held in police custody at Lee Memorial Hospital, but has yet to be arrested. Before the shooting he had been facing eight felonies, including attempted first-degree murder.